exactly three weeks later, we now know that what ultimately ensued was an unspeakable act of terror and cowardice. any bombing by virtue, is horrific. a bombing on patriot’s day, at the finale of the country’s oldest marathon, in such a historically significant city, in my city – vehemently spat in the face of the unabashed american spirit. this was absolutely personal, and it was absolutely devastating. it’s taken some time to articulate emotions into words. this is beyond my reason or logic or ability to comprehend; and in such a senseless circumstance, we want to be able to make sense where none exists. when i think about it, the people who were at the marathon were runners, loved ones, onlookers, who came in wholehearted support. and conversely, certain individuals were in attendance only to inflict harm. it’s difficult to grasp that such extremes exist in people. in the days that followed, we learned more and more details. i don’t care to discuss the perpetrators or politics because whatever unfolds doesn’t change what happened. people can’t be brought back to life. limbs can’t be regrown, and memories can’t be erased. what i do care about, what i would prefer to focus on, are the stories of those affected. as information surfaced, my worst fears were realized. these people aren’t just “victims” i know on the news in passing. they are people i know in actual, every day life: family friends, neighbors, former classmates… it’s been hard to digest. since the marathon, several donation-based sites have been created for individual recovery funds. some that i know of are for celeste & sydney, patrick & jess, and jeff bauman. i have been checking these pages every so often and it is incredible to literally see the donations and kind comments rapidly piling up. i truly can’t think of more worthwhile causes. rarely am i ever moved to tears, but when i read the comments on these pages, from people all across the country and even the world, i can’t help but be. the strength of the victims and the love and generosity of the people supporting, are the very epitome of what it means to be boston strong. now, more than ever one of my favorite quotes by anne frank, rings true: “in spite of everything, i still believe that people are really good at heart.” if there’s anything i’ve taken from this, it’s that we can find the good in almost anything. we can do good under any circumstance. and collectively, we’re capable of far more good than any harm outside forces can bring, especially in the city of boston. for most people, what happened on monday, april 15th is only a tragic news story. lives will resume as normal and the memories will eventually subside. for the boston community though, forgetting is impossible. for myself, forgetting will never be possible, not out of fear, but because the resulting goodwill and sheer determination, will endure in my thoughts and actions forever. for years, it was hard for me to envision myself living anywhere but nyc. as very apparently evidenced by notes here and here, the love affair i’ve had with new york is long withstanding and incredibly real. that said, i am currently writing this from a brand new bed, in my new apartment where i now live in los angeles, in the state i was born. when i reflect on the end of 2012 into the start of 2013, the months brought an onslaught of emotions and change. there are moments i’m proud of, moments i’m mortified by, times so good i wish i could relive over and over, and instances i wish i had acted otherwise… i won’t be held back by any negative factors, but i will grow through them instead. for me, writing has always been the most productive, and my favorite way of working through stuff. it doesn’t always come easy though. i don’t care to regurgitate or “reblog” what other people have written. i have my own original thoughts but there’s a bit of permanence, well – a lot of permanence that scares me, about putting thoughts into words that can’t be taken back. i’m very critical of myself, more so than anyone else could ever be. i’ve always strived for perfection, but if there’s anything i’ve learned, especially lately, it’s that “perfection” is boring; it’s overrated, and moreover, unrelatable. i’m making more of an effort to write again for the very fact that i’m not perfect. and i think it’s those very imperfections and quirks that will make my writing, and reading what i write now, worthwhile. ultimately, i know that being closer to my family here is best in the long run; they’re all that matters. 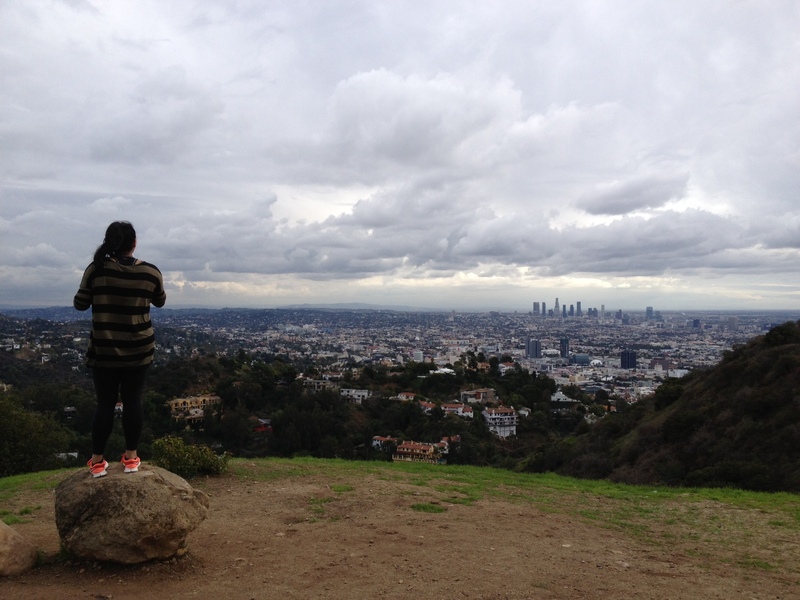 truthfully though, la and i aren’t exactly a love at first sight sort of relationship. granted it’s only been a few months, but los angeles has large shoes to fill. immediately, there are benefits to this side of the country – beaches, fresh air, space. the biggest stereotype about the laid back, carefree vibe that seems to perpetually permeate the west coast air, is surprisingly what i’ve been drawn to most. inexplicably, things that would have stressed me out in new york, just don’t matter here. i now consider 7:00pm a “late” night at the office and for once, there’s no plan at all. i welcome the uncertainty and am looking forward to taking it all in, one day at a time, in the gold state – the city of angels – what i affectionately and personally regard as lost angeles – and hopefully in time, home.